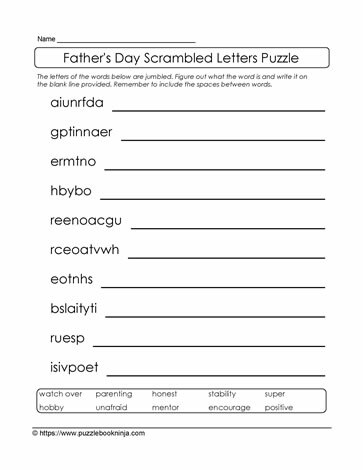 Here is a brain teaser for Father's Day. This scrambled letters puzzle is a great hit for students learning new words, consolidating spelling of some words. To create more of a challenge hide the word bank and have students unjumble to letters without support.